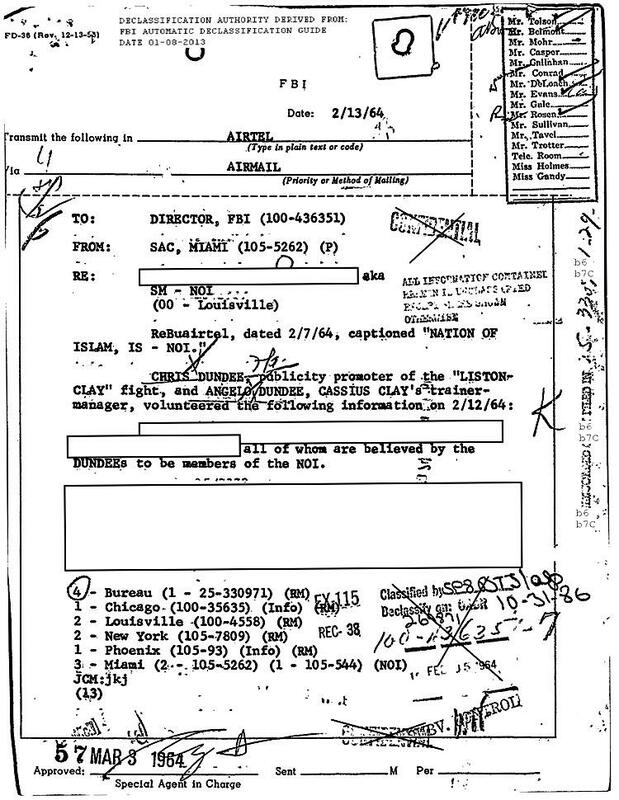 FEBRUARY 1--Two weeks before Muhammad Ali beat Sonny Liston for the heavyweight championship, the boxer’s trainer met secretly with FBI agents and identified members of the Nation of Islam who were associates of Ali, according to bureau records. 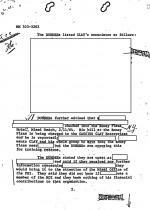 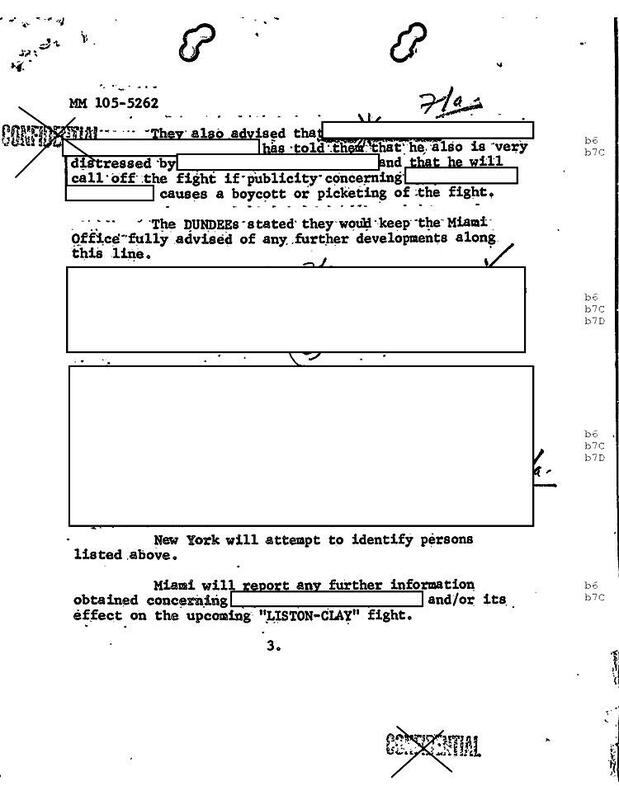 In a "confidential" February 1964 memo to FBI Director J. Edgar Hoover, a supervisor in the bureau’s Miami office reported on a meeting with “trainer- manager” Angelo Dundee and Dundee’s brother Chris, who was promoting the fight between Liston and Ali (who was then still known as Cassius Clay). 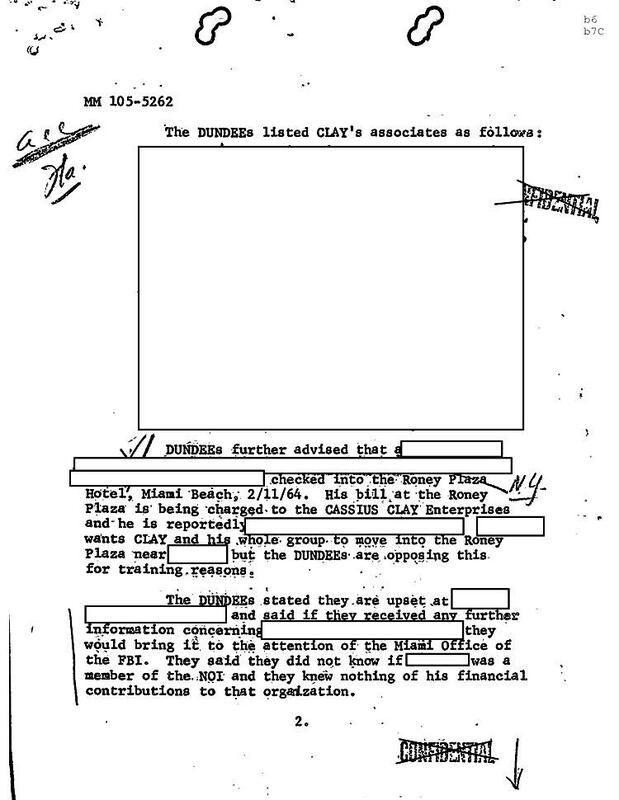 Along with identifying suspected “members of the NOI,” the Dundee brothers provided agents with the names of “Clay’s associates,” according to the February 13 memo to Hoover. 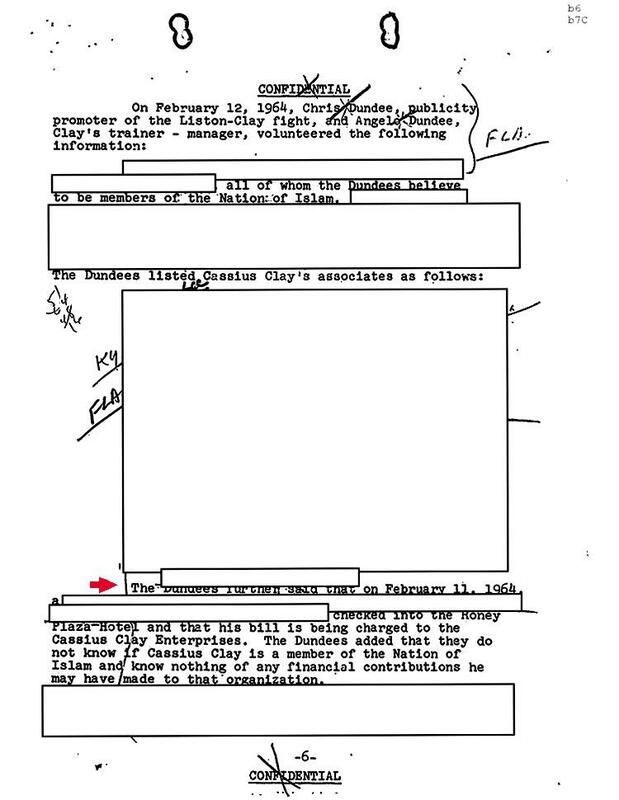 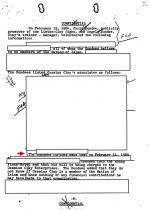 The names of individuals fingered by the Dundees were redacted from the document, which was released in response to a TSG Freedom of Information Act request. 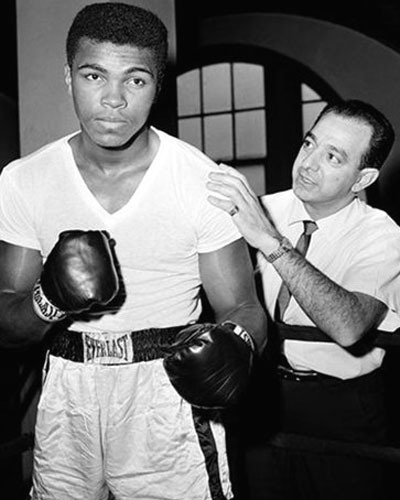 Angelo Dundee is pictured with Clay, then 20, in the above February 1962 photo. 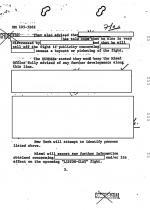 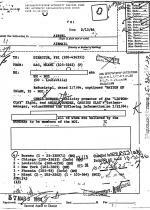 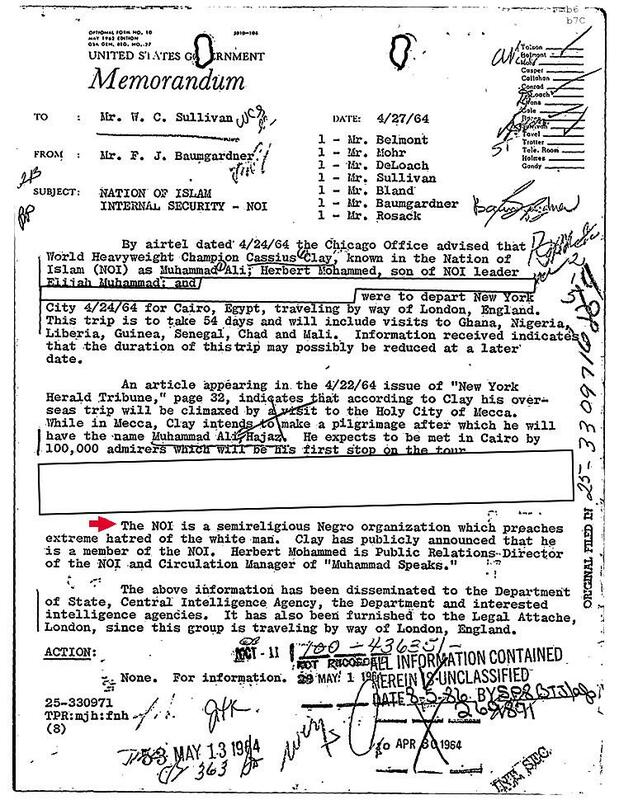 The FBI’s meeting with the Dundees came about three weeks before it was revealed that Clay had joined the Nation of Islam and would henceforth be known as Muhammad Ali. 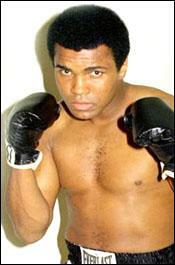 On February 25, 1964 Clay defeated Liston at Convention Hall in Miami Beach, capturing the heavyweight crown. 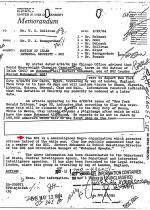 On March 6, Nation of Islam leader Elijah Muhammad announced Clay had been renamed Muhammad Ali.